I spoke with Nancy about an hour ago and a friend had just arrived to give her a ride home. YAY! She was planning to stop and get some things at the store and will be spending at least tonight on the main floor and not attempting the stairs. She sounds WONDERFUL! SO GLAD she is on her way home! YAY! I hope she doesn't celebrate being home with a glass of wine. It is Friday after all . Great news! Thanks Miss Ellen! EXcellent news! So glad to hear she is going home and sounding good! We miss you Nancy. That's great. Have a great weekend Nancy! Thank you Ellen for the update, I'm so happy that she's coming home. take it easy Youngatheart.7.4.12 XO and Ellen please take it easy too take the day off work tomorrow and give your body a chance to heal, I love both you ladies. I'm glad you're feeling better and you are the only one that knows your body and whether you're pushing it too hard so huge but gentle hug coming your way sweet Ellen. YAY!!!! This is happy Nancy news. Thanks for the update! Humongous BUT very gentle loving hugs coming your way sweet Nancy XO Youngatheart.7.4.12 we love you and we miss you. Thanks Ellen, glad to hear it. Thanks Ellen! So happy to hear this. Now - go rest! Thanks for giving us an update Ellen! Hooray! Thank You, Ellen! I'm praying for you both! I really wish she was not alone but she will HOPEFULLY sleep well...on the couch. GOOD LORD! What are rehabs up to these days??!!! They should have made sure she would not be alone. Praying there are no problems. Thank you both jonescarp.aka.dale.Jan_2007 and elvan for staying in touch with her and keeping all of us informed. Welcome home Nancy! You sure have been missed. Take it easy, rest, relax (yup I know these words are not exactly in your vocab lol) but practice it anyway. EEKS don't like hearing she is alone tonight. Thanks jonescarp.aka.dale.Jan_2007 and elvan keeping us updated. I will have a housemate for the next two weeks....and by then I should be able to be on my own. Right now it is really a challenge and involves significant pain. Pretty much wiped out. I will be back on site just as soon as I can. Miss you guys! Thanks for the good wishes! HI Nancy glad to see you will have a house mate for a couple weeks. I know there is no place like home, glad you got help. Gentle hugs to you and hope you have a speedy recovery my friend. It's wonderful to see you and I'm really glad that you have someone staying with you and I hate knowing that you're in pain take it EXtra easy and don't overdo OK love you Nancy xo. Youngatheart.7.4.12 SOOOOOO good to see you on this site. "Housemate" ? Now that sound interesting.......!!!!! You take it easy and that's and order! We miss you and are all praying for a speedy recovery. Keep in touch. Since both of my daughters are otherwise occupied, my Ex offered to come stay with me for the first two weeks. I really SHOULD write a novel!!! I'll definitely read that novel too Nancy, huge loving but very gentle hug to you xo. May we have a NANCY UPDATE PLEASE?????? She was going to sleep upstairs for the first time last night. I am lurking a bit - but can't sit upright for long, so can't be here long each time. Slept in my bed last night and took my first shower this morning. It's the little things! Thanks for thinking about me, Sootie! Oh!!!! That first shower is FANTASTIC. 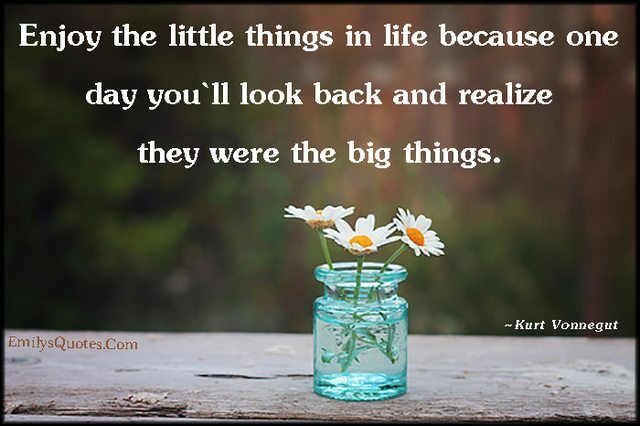 Enjoy the little things......it was always about them anyway. You're just trying to get my goat, aren't you?! ON THE FLOOR! OUT LOUD! I am literally GASPING for breath from laughing, I used to wear my hair JUST like this guy's ears. I slept on those metal and brush rollers for YEARS AND YEARS...my hair was SO CURLY and I HATED every curl and every wave and, of course, both of my sisters had perfectly straight hair. We always want what someone else has. Reminds me of Elizabeth Montgomery. I had a huge crush on her back in the 60's. I have GOT to get some of those soft, pink things!!!!!! I think they will help my curl.....and I can't sleep on those metal things!